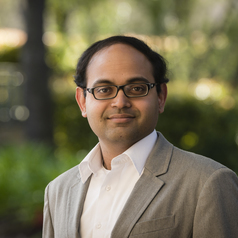 Arvind Ravikumar is an Assistant Professor in Energy Engineering at Harrisburg University and a non-resident fellow at the Payne Institute at the Colorado School of Mines. His work focuses on developing engineering-based solutions to inform energy and environmental policy in the road to a global clean energy transition. Most recently, his research has sought to understand and reduce methane emissions from the North American oil and gas industry through a combination of field work, modeling, and policy analysis. His other research interests include global trade in liquefied natural gas and the clean energy future in developing nations. He regularly consults with non-governmental organizations, and state and national regulatory agencies energy and environmental policy. Prior to joining Harrisburg, Arvind was a post-doctoral fellow at Stanford University and obtained his Ph.D. in Electrical Engineering from Princeton University in 2015.